ItemCUMB_2001.022.001 - Bowl with Floral and Bird Design, From Chinatown, Cumberland, B.C. Item CUMB_2001.022.001 - Bowl with Floral and Bird Design, From Chinatown, Cumberland, B.C. 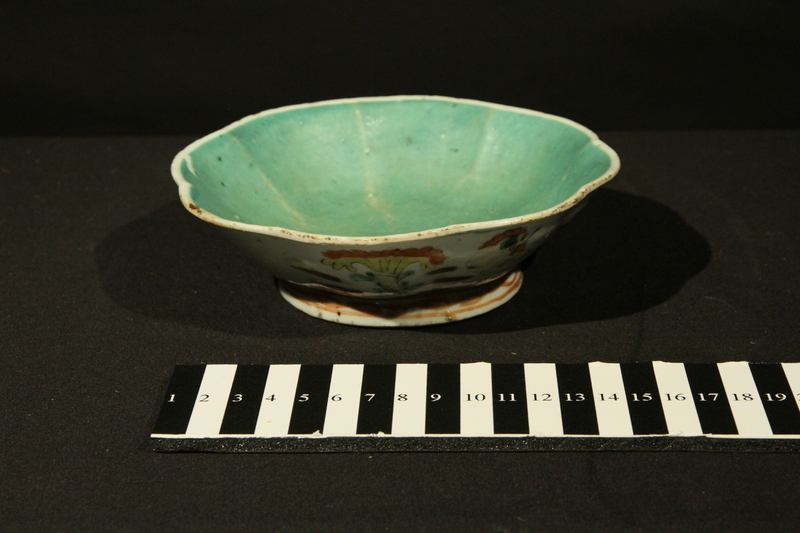 4.5 cm x 14 cm diam; 1 bowl; scalloped shaped; glazed; two shades of green, floral/bird design, blue, brown, orange, yellow, mauve. This bowl has some cracks and chips.